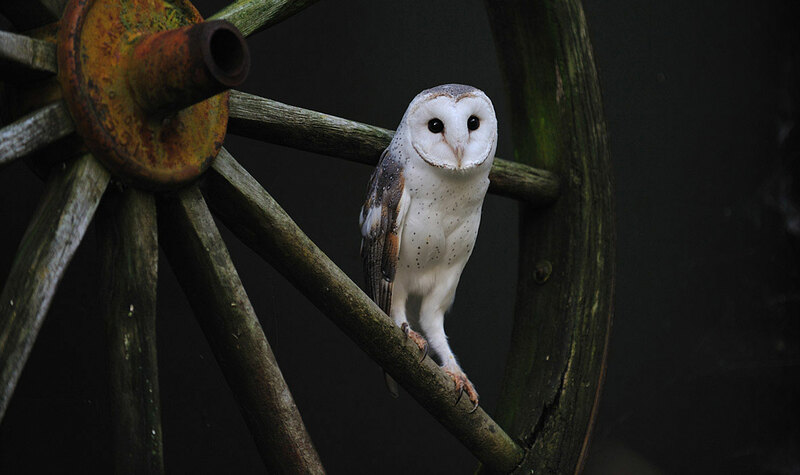 Wingspan Bird of Prey Centre, a Charitable Trust, has been with us from the start. Our original 2002 web design based on Flash animation won several awards, but ten years on it was in urgent need of a radical revamp. 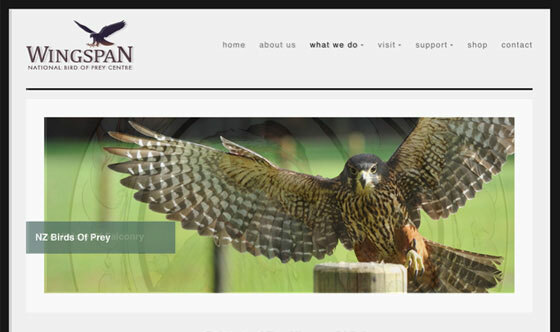 In 2012 we designed and developed a 100+ page interactive, responsive web design. 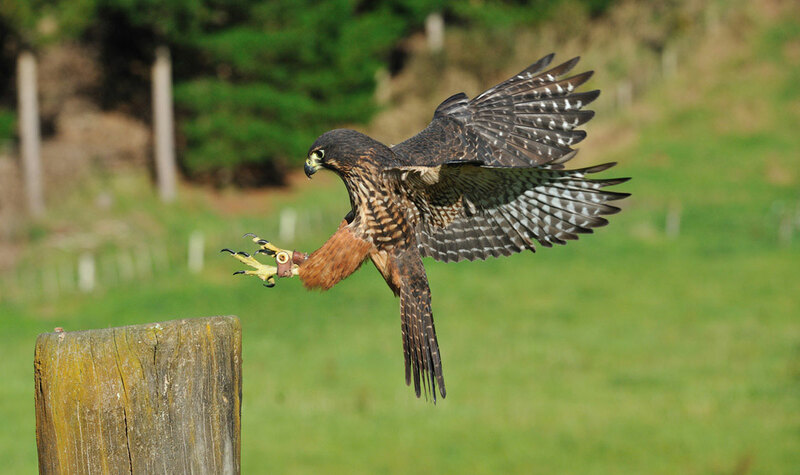 Pen and Allan collaborated closely with Debbie and the Wingspan team during the planning and development stages. 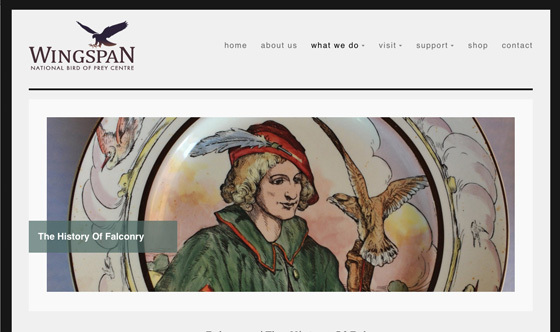 We revamped their logo design to give it a more contemporary feel and Allan, our in-house photographer, spent days photographing Wingspan - the flying displays, the birds, the people and all the shop items for the online shop. Branding design included business cards, email signatures and MailChimp templates. 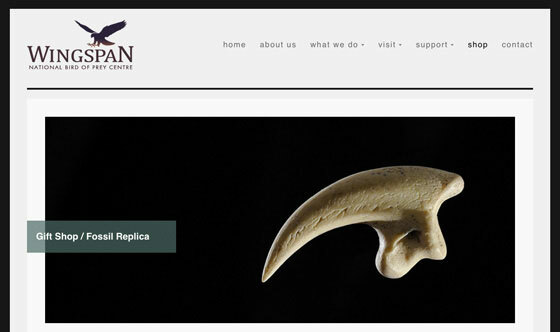 The website includes a video and photo gallery, newsletter subscription, online gift shop using PayPal and social media 'Likes' and icons. AMG set up Google Analytics, MailChimp and PayPal, and content manage all web updates. 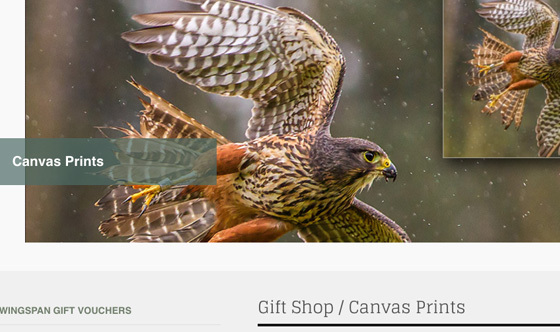 Wingspan has grown from small beginnings to a large fan base with over 6,000 website visits a month and currently almost 6,000 Facebook Likes - thanks in large part to founder Debbie Stewart whose boundless energy and love of NZ birds of prey knows no bounds! And to add another feather in her cap, Debbie Stewart was made a Member of the New Zealand Order of Merit in the 2013 Queens Birthday Honours list! 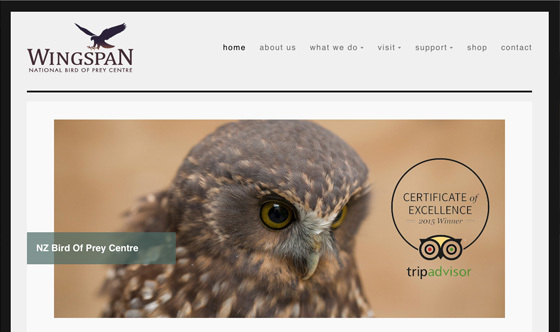 Need a tourism web design?